Let’s make sure everyone knows the support structure in place here at Mercy. First, although each of you are (or should be) connected with advisors in the Student Services offices, as the program director I am the faculty advisor for all students in the MA program. Your Student Services advisors are the people who likely contacted you when you first began the program (people like Jennifer Mack, Krystal LaDue, others). You can reach out to them or me or all of us with questions about course selection, your progress toward the degree, or anything else. The main phone for Student Services is (888) 464-6737 (check the website for their hours, all Eastern time). As always I’m at cloots@mercy.edu or less likely at (914) 674-7423. 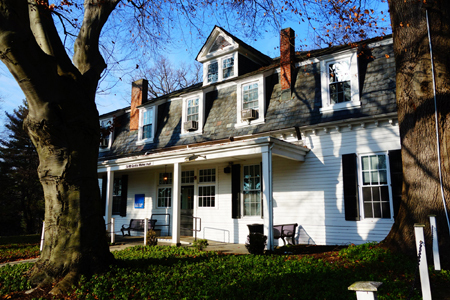 The College’s Office of Accessibility is the place to contact if you need to discuss or register any accommodations. We also have an office of Counseling Services for those in need. The Center for Academic Excellence (CAE) provides tutoring and other such assistance. The CAE provides assistance to our online students as much as to our on-campus students, and has online tutoring facilities in place, so don’t hesitate to contact the center when working on papers for your MA courses. Sometimes your professor might require that you contact the CAE to get help with your writing. Professor Steven Witte is the contact person for the online tutoring, so you can contact him at switte@mercy.edu if you need further help. 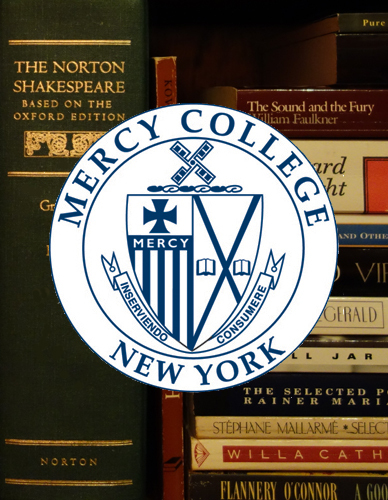 Mercy has extensive online library resources. All of you have already been or soon will be using these to some degree, as each course (except perhaps for Creative Writing) requires some form of research paper. You should also always be reading beyond your course syllabus and doing independent study of further readings in support of your syllabus readings. You can find a wealth of sources through the online library portal. The JSTOR and MLA are the two primary databases for literary research, though there are others you’ll find in there. 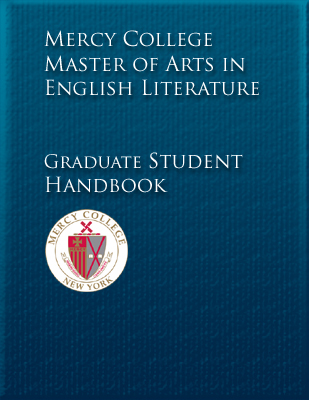 Additionally, Mercy has digitized versions of many scholarly books. To search the ebook selection use the advanced search option for the library catalog and under “format” select “EBook.” Then search away and check-out/download any useful books you find. Your professors will provide their own contact information in each of their courses, and you can also obtain contact information at the end of the Graduate Student Handbook accessible in the left-hand column of this blog. Seeking Alumni News and Updates: Let Us Know What You’re Doing! We here in the MA faculty often wonder what our MA grads are up to, where you are in the world, what you’re doing (whether with the MA degree, or otherwise). A number of former students do keep in touch with some professors, and each of you should always be trying to build some rapport with at least one of your professors, if even just for the practical reasons that (a) you’ll need to pick one of us to lead your final 599 thesis course, and (b) you should have at least one faculty member to turn to with professional questions and concerns after your time in the program. But on the program-level I’d like to build a better alumni-relations system, something by which we here can get and maintain a sense of what our graduate community is up to. One immediate reason is that the Mercy College School of Liberal Arts in which our program is housed is starting up a newsletter and wants to be able to list some alumni news; for another thing, the MA program itself might in the future put together its own alumni newsletter if we can get a large enough response to this call. So, if you’re a graduate of the MA program, do me a favor and keep in touch. At the very least it would be good to have updated contact information for each of you. Beyond that we’d love to hear about anything you’re doing or achieving or working on beyond the MA. Have you gone on to a PhD program? Earned a PhD? Are you teaching anywhere whether part time or full time be it in K-12, community college, or beyond? Finished or published any poems, stories, or critical essays? Written a book? Done any stage performance? Read aloud at a spoken-word event? Any other professional or non-professional accomplishments to note? Drop me an email, now or at anytime in the future, at cloots@mercy.edu and do let me know. At the very least I’ll finally be able to answer when this or that professor asks me in the hall “hey what have our MA graduates been up to lately?” We want to know!